Tonight’s post has got me really super excited as I finally get to share with you my all time favourite makeup products of 2015 and my top favourite items that I bought for cosplay during 2015! Now stay tuned on my blog as I have decided that every month I will share with you my favourites, from makeup to cosplay even movies and foods! I can’t wait! Alrighty, so lets start with cosplay! Last year I discovered cosplay and I feel like it was one of the greatest things I have ever done! It’s given me a way to express myself like none other, it’s given me the chance to make friendships I otherwise wouldn’t have made and I wouldn’t stop it now for the world! Today I’ve got for you two wigs, one pair of contacts and a full experience. 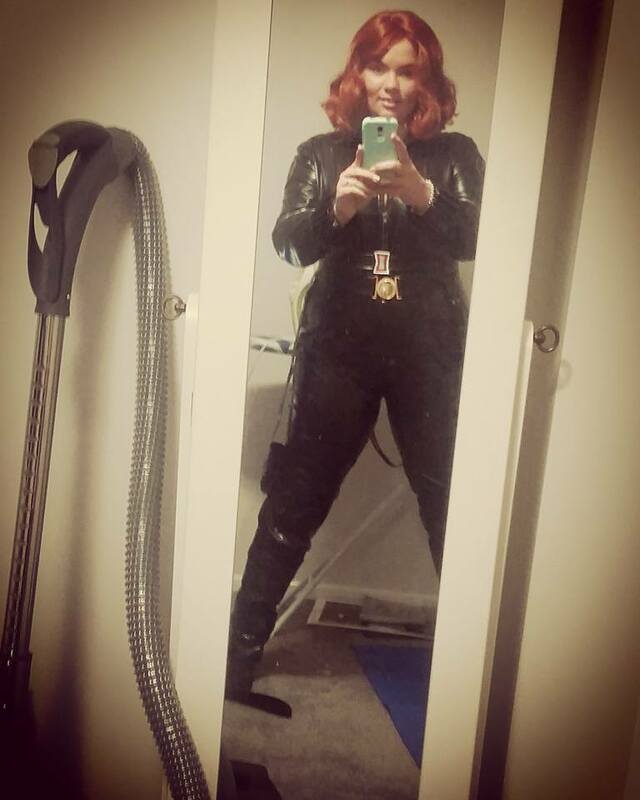 I’ll start with the experience; now I wouldn’t say my Black Widow bodysuit was a favourite as it had so many complications and let downs, however wearing it to Brisbane Supanova was definitely one of my favourite experiences of 2015! Having people ask for photos and complimenting the outfit – although I didn’t make it – it made me feel amazing! Now as for the contacts, I have purchased quite a few pairs of contacts in the last six months and I can say without a doubt this green pair are my favourite! I have written a review on them here, and you’re more than welcome to go check that out, in fact I encourage you to! I have found that I struggle to find contacts that really stand out on my brown eyes, but these were incredibly vibrant and had everyone complimenting my eyes wherever I went. The two wigs that I have for you today are my Chibi wig from Arda which I have also written a review on, you can find that one here, once again I urge you to check that one out! This wig is stunning. It was priced fairly well for the quality, I would definitely recommend Arda to anyone looking to buy a good quality wig, I’ll definitely be buying more in the future! 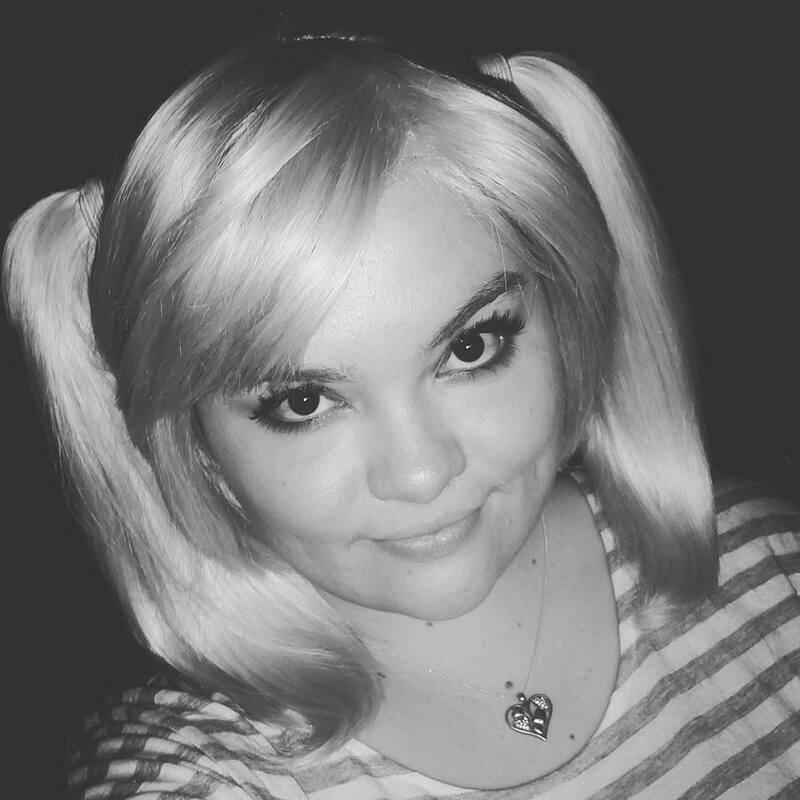 In all honesty, I loved just wearing this wig around the house, its so easy to put on, it is a little heavy and because I’m not used to wearing wigs it did hurt my neck a little if I wore it for too long but I just adore the look of it and can’t wait to cosplay my Harley this year! 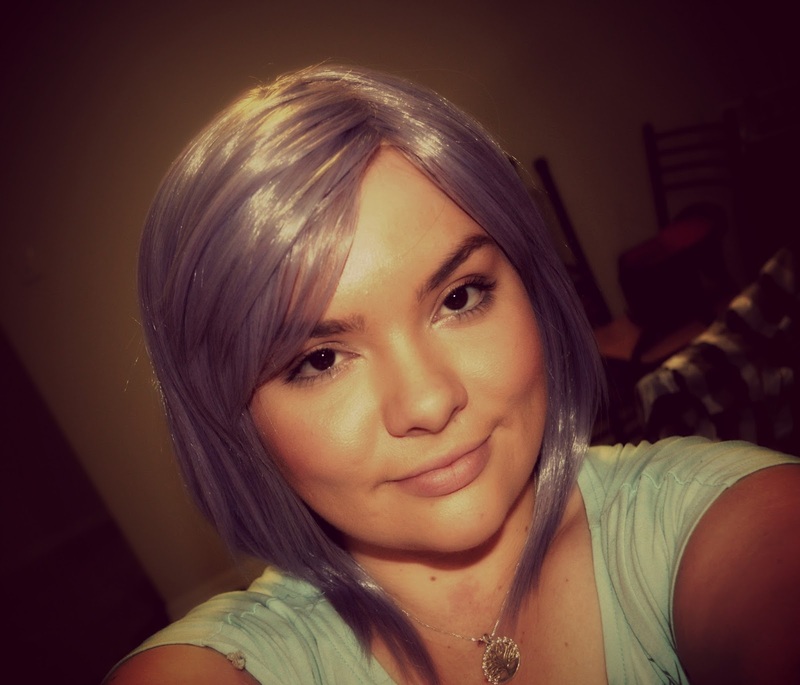 As for my purple wig, I picked this one up really cheap on eBay after my friend referred me to this site for cheap wigs that I could use to learn to cut and style! However after straightening the wig I didn’t want to go any further, I loved everything about it, the length, the colour, the way it framed my face! It’s just the perfect wig if you want something different. Now I just have to find a cosplay I can use it for! Next lets talk about my favourite makeup and body products, I’ll start with my body products, all of which are purchased from body shop, including a candle which isn’t really body related but its definitely a favourite! Just before christmas I made a trip down to Brisbane to watch the new Star Wars movie in gold class and while I was there I thought I would pop into body shop and see what they had available and they did not disappoint. 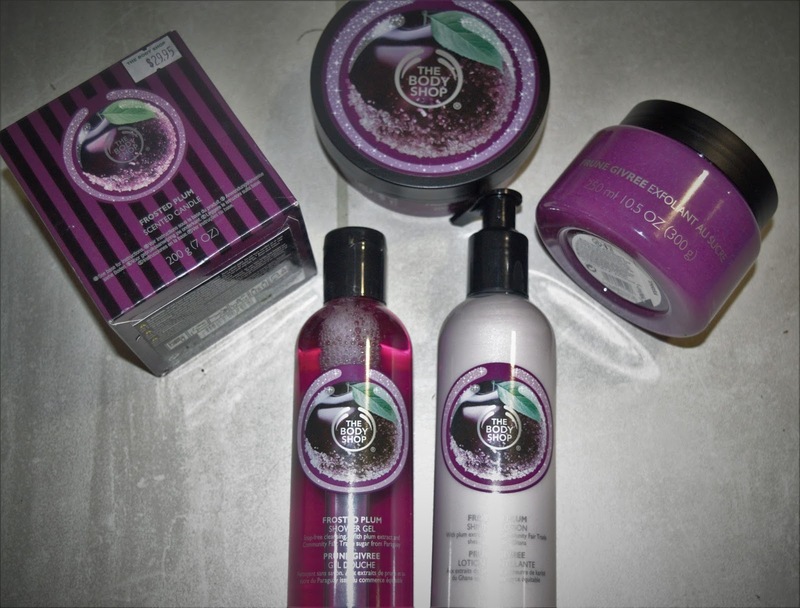 They had a range of – I want to say new – scents, however I wouldn’t know but they were in a different section to the rest and from those I chose the frosted Plum scent and bought all that I could from that range. In total I walked out of the shop with a candle, a body butter, a body scrub, a shower gel and a shimmer lotion. They have been by far my favourite purchase from body shop last year! Moving onto makeup, I’ll try and make this short so I’ll start with my high end makeup and then move onto my drug store. Firstly I want to talk to you about my Gerard Cosmetics Highlighter in the shade Marilyn; it is my holy grail, absolutely fantastic and so so gorgeous! Next is the Smashbox Primer, although extremely expensive it’s so worth it for those good occasions and I’ll definitely be utilising it! Also whilst in Brisbane I was lucky enough to stop into the Mecca Maxima store and the Mac store and I purchased a Mac lipstick in the shade Diva and an Urban Decay Setting Spray, once again the setting spray will be used on good occasion but certainly does its job incredibly well and for the lipstick, well I am in love! It’s such a gorgeous shade and I love wearing it with a real natural eye look. Moving onto the drugstore products we have my all time favourite mascara, the Lash Sensational Mascara by Maybelline! When I first used this I didn’t like it, it was extremely clumpy and I couldn’t get it to look nice however after a lot of practise and usage I finally have perfected using it and am absolutely in love! definitely my go to mascara. Next is my Fit Me Concealer in the shade fair. It’s so incredibly perfect for use in the under eye areas and blends out super nicely! My favourite concealer by far! Midway though September I bought a few eyeshadow palette from BH Cosmetics and the Galaxy Palette has been an incredible favourite of mine ever since, I’ve written a review of it here, definitely go check that out. In all honesty its probably my best palette, it has amazing colour payoff and has a wide variety of colours! I love creating different looks with it! Sometime last year my friend recommended to me the Stay Matte Foundation by Rimmel and I absolutely adore it, it blends out so nicely, has absolutely amazing coverage and by the end of the days holds up a lot better than any other foundation I own. Definitely a fave in my books! Lastly for the makeup I have a brush that I have been loving for quite a while now and that’s the Domed Bronzer Brush from the ecotools set. I actually found this through a YouTuber that I watch and she highly recommend it for buffing in liquid foundation and that exactly what I use it for. Its so so perfect and works incredibly well to blend and buff the foundation evenly over my face and its my only ‘tool’ I will use to apply my foundation! Alright my lovelies, thank you so much to everyone who reached the end of this post! Sorry it was so long, but I really wanted to tell you about all of the above! They are all perfect products and in my opinion are worth the buy! Stay tuned next week for my top 5 YouTubers! Hands up if you binge watch YouTube videos (it’s my favourite past time, my guilty pleasure you could say). 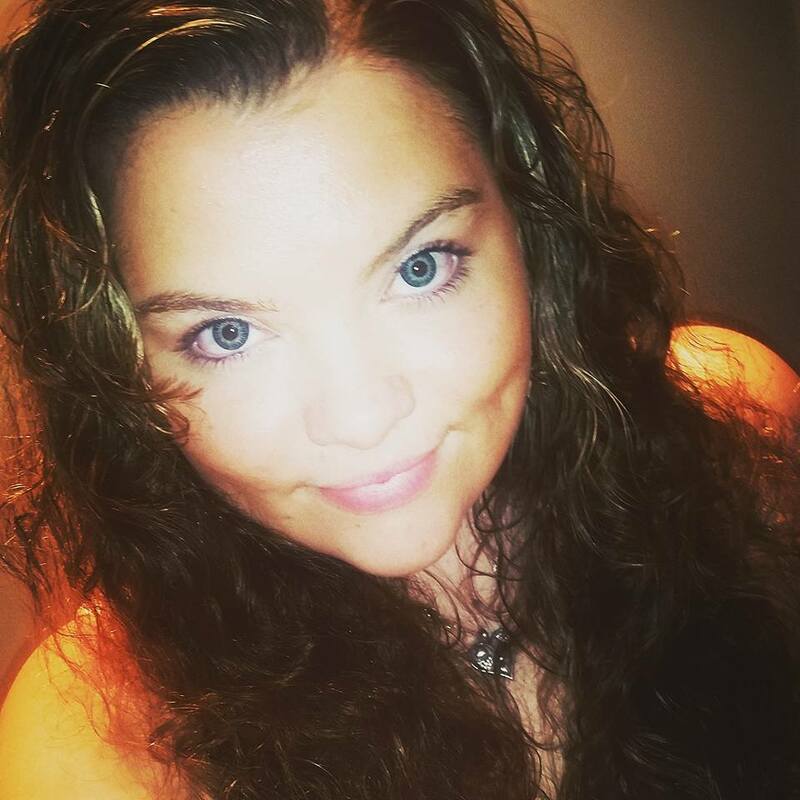 I hope you enjoyed this post, let me know in the comments you favourite products of 2015, I’d love to read them!